Activated almonds. I've started seeing them everywhere in the natural foods store ... they seem to hang out with the raw, dark chocolate or all-natural granola bars. (A place I like to hang out, too ... ) Sometimes they're flavoured and in bags all on their own. Which means more of the good stuff in the nut is used by our bodies! And you don't have to spend a gazillion dollars to buy activated nuts - they're really easy to make yourself. I'll tell you how. 1. Soak the almonds in the water for 12 hrs. If you're using other hard nuts (like hazelnuts or brazil nuts) 12 hrs will also work. If you're using soft nuts, like cashews or pistachios - shorten soaking to 4-6 hrs. 2. Rinse the nuts under running water, and if you want to add flavour - now is the time to do it. Just shake a couple of tsp of whichever flavour you want over the wet (rinsed) almonds, and stir to combine well. NOTE: If you want, you can use and eat the activated almonds as they are, without roasting them. 3. 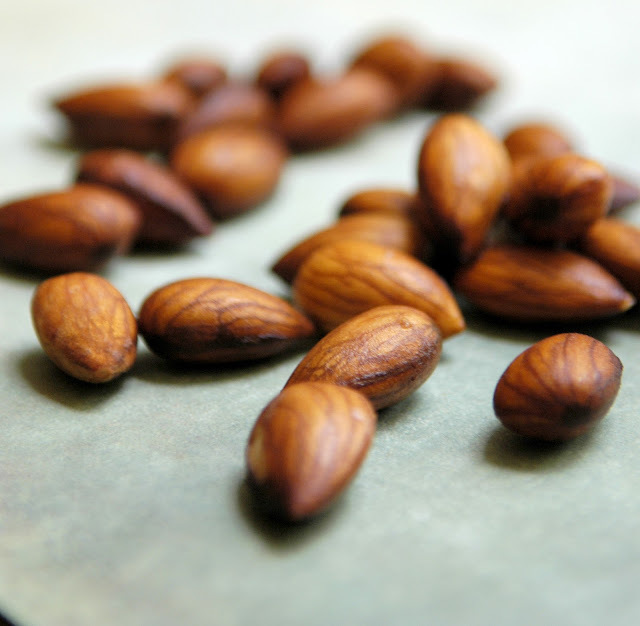 Now, we want to 'roast' the almonds, without damaging all those nutrients we've activated. So we have to dry out the nuts on low heat - either in a dehydrator or on the lowest temperature your oven will do (mine is 60C, or 140F). This will take anywhere from 6-24 hrs, depending on the temperature you're using. The nuts will be done when they feel (and taste) dry. You may have to sample several to figure this out ... lucky you! 4. Use your activated-dried almonds as you normally would use roasted almonds. They last really well in an airtight container. And they can be ground into almond meal, too! I can make pesticide-free activated almonds for about $14 per kilo - quite a bit less than paying for a little packet of them! Now I wonder if a good soak will activate me, too? Thanks for the tip about the nuts; good to know! 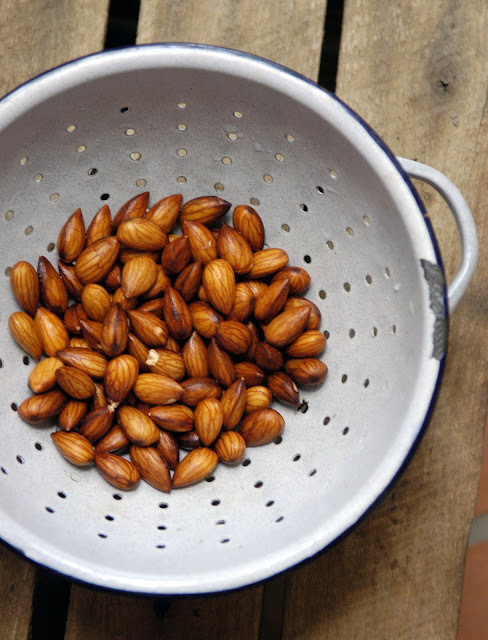 I soaked my almonds in water, dried them in the oven for 6 hours, and then roasted them. Does actually roasting them after they are dry ruin any of the benefits? @Savannah Hey Savannah - good question. My understanding is that as long as you roast on a low temperature, the enzymes will be ok. And that would go for baking, too. But once you get above 60-80C (120-160F) the enzymes will (sadly) get destroyed. So it might take you longer to make a cake with activated almonds, but I think you could do it without damaging the good stuff. 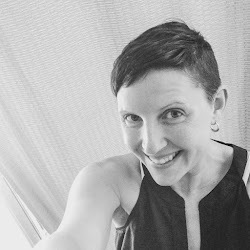 @My Pink Door Hi Jenny - in Brisbane I get mine at Flannery's - the store in Taringa has had them on special for several $$ off regular price lately ... so try there. I try to stock up when they're on sale and keep the extras in my freezer in Qld summertime. I was wandering where you are buying pesticide free nuts from? $14 is very cheap, and i can only find organic nuts for around 3 times the price- i must be looking in the wrong places! Much love for great site. This is perfect. I'm only new the 'soaking almonds' world and was ready to take it up a notch with trying to activate them (which are very expensive to buy). 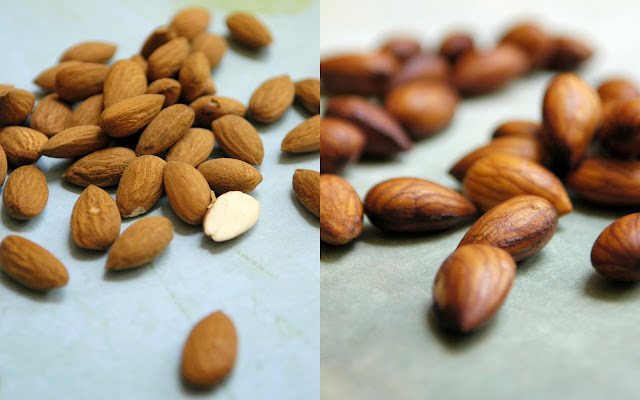 I have found an online store (http://www.goodness.com.au/store/Nuts/c1/index.html?page=2) that seem to have almonds insecticide free for a great price. I'm going to find a bunch of local friends and buy in bulk! What about drying them in the sun instead of having the oven running all day? Meg - I think drying in the sun would be great, but it might take awhile ... not sure how long, but you could give it a go. I do put things in the back window of my car when it's warm to dry them out. Fewer insects go after them there! So excited to try this! I bought a dehydrator yesterday with some birthday vouchers! I would like to make my own nut milk too, in the nut bag I bought 3 years ago that is still in it's packet...lol. @slowdownslowly LUCKY!!!! (and happy birthday?!) You definitely have to try the almonds + rosemary + sea salt combo, too. It's my fave. Hi. I've treated almonds, pepitas, sunflowers this way. Have you done macadamias? Somehow I had the idea it wouldn't work, and am now inspired. Your blog is so nice on the eyes, now I'll have to explore. ;-) Thx from Nthn NSW. Thanks for post on activating nuts. I might give it a go. Don't dry food in the car. The plastics give off a vapour, that's what builds up to make your windscreen smeary. Hi, do you need to roast them? Id rather not, but wonder whether this will affect how long they keep for....can you advise? Organic is the way to go. Those organic nuts will be good for a pudding stuffing on my roast chicken recipes that is from free-range chicken. What about walnuts, same length as almonds? have you noticed any benefits? thanks for the salt info. Hi, what does the C stand for? What is it in metric (grams/kilo)? Where do you buy organic raw almonds for 14 dollars per kg?